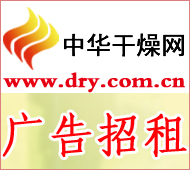 China Drying Network On August 13th, the 11th Fujian-Taiwan Economic and Trade Culture Exchange Conference held in Zhangzhou, highlighting a total of 114 projects in nine industries including rare earth and tungsten, new materials and biomedicine, and precision Machinery and high-end equipment manufacturing, new building materials industry and other six industries and projects. At the promotion meeting, the Investment Promotion Bureau of the Ministry of Commerce and the Ganzhou Municipal Government jointly signed the Agreement on Strategic Cooperation for Investment Promotion and signed a signing ceremony for 12 projects such as the use of CO2 critical extraction technology to produce pollution-free rice. The intention amounted to 870 million U.S. dollars.